Jack Reacher is a former U.S. Army Military Police major. Since leaving the army, the authorities have not been able to locate him, although his name crops up mysteriously from time to time in connection with investigations into murders, terrorism, and other breaches of the law. Lee Child is the author of seventeen Jack Reacher thrillers, including the New York Times bestsellers Persuader, The Enemy, One Shot, and The Hard Way, and the #1 bestsellers The Affair, Worth Dying For, 61 Hours, Gone Tomorrow, Bad Luck and Trouble, and Nothing to Lose, as well as the short stories “Second Son” and “Deep Down.” His debut, Killing Floor, won both the Anthony and the Barry awards for Best First Mystery, and The Enemy won both the Barry and Nero awards for Best Novel. 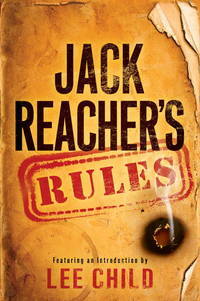 Foreign rights in the Reacher series have sold in more than forty territories. All titles have been optioned for major motion pictures, and Jack Reacher, based on the novel One Shot and starring Tom Cruise, will be released in December 2012. A native of England and a former television director, Child lives in New York City, where he is at work on his next thriller, Never Go Back . Delacorte Press. Hardcover. 0345544293 Excellent, unmarked copy with little wear and tight binding. We ship in recyclable American-made mailers. 100% money-back guarantee on all orders. . Fine. Delacorte Press. Used - Very Good. Great condition for a used book! Minimal wear. Delacorte Press. Used - Very Good. Ships from Reno, NV. Former Library book. Great condition for a used book! Minimal wear. 100% Money Back Guarantee. Shipped to over one million happy customers. Your purchase benefits world literacy! Delacorte Press. Hardcover. 0345544293 Brand New! Not Overstocks or Low Quality Book Club Editions! Direct From the Publisher! We're not a giant, faceless warehouse organization! We're a small town bookstore that loves books and loves it's customers! Buy from us and you get great service as well as a great price! Your business is valued and your satisfaction is guaranteed! . New. Delacorte Press. Hardcover. 0345544293 Remainder mark . Fine. Delacorte Press. Hardcover. 0345544293 . New. Delacorte Press, 2012-11-06. First Edition. Hardcover. Good. Delacorte Press. Hardcover. 0345544293 *LIKE NEW* Ships Same Day or Next! . Fine. Delacorte Press. Hardcover. 0345544293 *BRAND NEW* Ships Same Day or Next! . New. Delacorte Press. Used - Very Good. Ships from the UK. Former Library book. Great condition for a used book! Minimal wear. 100% Money Back Guarantee. Your purchase also supports literacy charities. Delacorte Press, 2012-11-06. Hardcover. Used:Good. Delacorte Press. Hardcover. 0345544293 Special order direct from the distributor . New. Delacorte Press. Hardcover. 0345544293 Please allow 4 - 14 business days for Standard shipping, within the US. Thank you for supporting our small, family-owned business! . Fair. 2012-11-06. First Edition (US) F.
New York: Delacorte Press. Fine with No dust jacket as issued. 2012. First US Edition; First Printing. Hardcover. 9780345544292 . Full number line. ; 7.50 X 5 X 0.70 inches; 160 pages . Delacorte Press. Hardcover. 0345544293 Like New Condition. . Fine. 2012-06-02. Good. Ships with Tracking Number! INTERNATIONAL WORLDWIDE Shipping available. May not contain Access Codes or Supplements. May be ex-library. Shipping & Handling by region. Buy with confidence, excellent customer service! Delacorte Press. Hardcover. 0345544293 New Condition *** Right Off the Shelf | Ships within 2 Business Days ~~~ Customer Service Is Our Top Priority! - Thank you for LOOKING :-) . New. Delacorte Press. Hardcover. 0345544293 Please allow 4 - 14 business days for Standard shipping, within the US. Thank you for supporting our small, family-owned business! . New. 2012-11-06. First Edition (US) F.